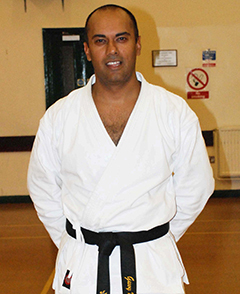 Welcome to Fudoshin Karate Kai (FKK) at Perton community Centre. The club was formed in 1987 at the scout hut in Gainsborough Drive, and moved to it’s current location at the community centre in 1989 where we have been teaching Wado Ryu Karate in Perton ever since. 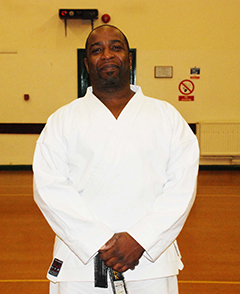 For over 20 years now, Perton Karate members have been benefiting from instruction by Sensei Jerome Atkinson (5th Dan), and Sensei Derrick Clarke (4th Dan), and many successful students have passed through it’s doors. Between them they have over 50 years experience in Wado Ryu, sensei Clarke being a former member of the Fudoshin squad. and Sensei Atkinson being a former all styles heavyweight champion of the world. 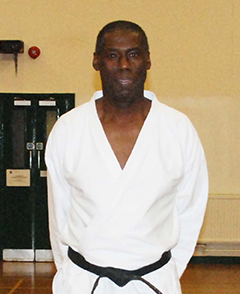 The achievements and contributions to the sport by sensei Atkinson have been recognised by Wolverhampton Council who awarded him with a Hall of Fame certificate in 2006. Perton Karate FKK is a family orientated club that welcomes members of all ages, all abilities, and from all walks of life. Member ages range from 6 years old to over 50. There are currently in excess of 35 members at the club and new comers are always welcome.